Voluntourism is a combination of both volunteering and tourism. If you are looking to visit a foreign country and use your time effectively, a voluntourism trip through Projects Abroad may be the perfect opportunity. Similar to a volunteer travel trip or volunteer vacation, voluntourism is a way to discover a new country and play an important role in the local community. Most of our volunteers live with host families, so in addition to your worthwhile work, you will also experience total cultural immersion, which is not possible as a simple tourist. You’ll be working with volunteers from all over the world who share your commitment to helping others and your desire to discover a new culture. 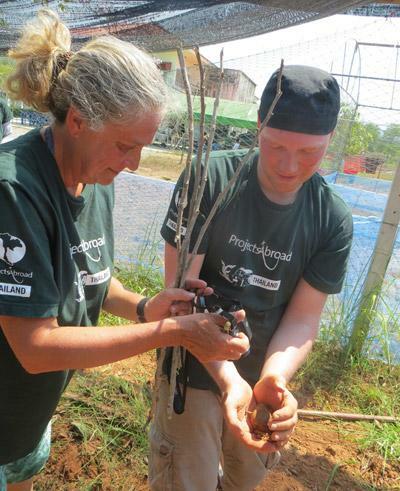 Projects Abroad offers voluntourism trips to suit any interest, experience level, or age. We offer hundreds of different types of programs in over 25 developing countries. Our placements run year round and voluntourists choose the exact day of the year that they would like to begin and the duration they would like to stay for. Each of our 10,000 annual volunteers are supported by over 600 trained staff around the world. Voluntourism projects are quickly becoming one of the most popular forms of international travel. It is important to carefully research the voluntourism organization you are considering. Experience, sustainability, and financial responsibility are essential to running programs that truly benefit the global population. This is and has been the primary motivation of Projects Abroad for over 20 years. Please take a moment to read through Projects Abroad’s history, values, financial profile, and our impact within the community.